The wet plate collodion process is becoming increasingly popular as photographers search for more unique, and equally eye-catching ways of taking photos. This almost abandoned technique was once the most advanced photographic process available, but was overtaken by dry plates, celluloid film and more recently digital photography. The effect is highly sought after because of the amazing quality of detail it adds to portraits. 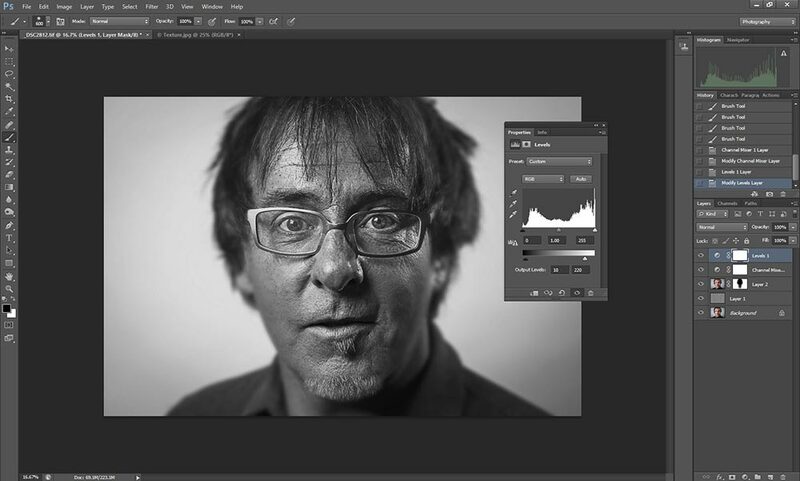 Here’s how you can apply the wet plate collodion effect to any portrait in Photoshop. The wet plate collodion process requires glass plates to be coated, sensitised, exposed and developed within a window of roughly fifteen minutes. The plates must remain moist in this time. Exposure times in the 1900s were slow because of the light sensitivity of the plates. This meant portrait sitters had to sit incredibly still with a head brace holding their head still. The best images to use for this technique are head and shoulders portraits. 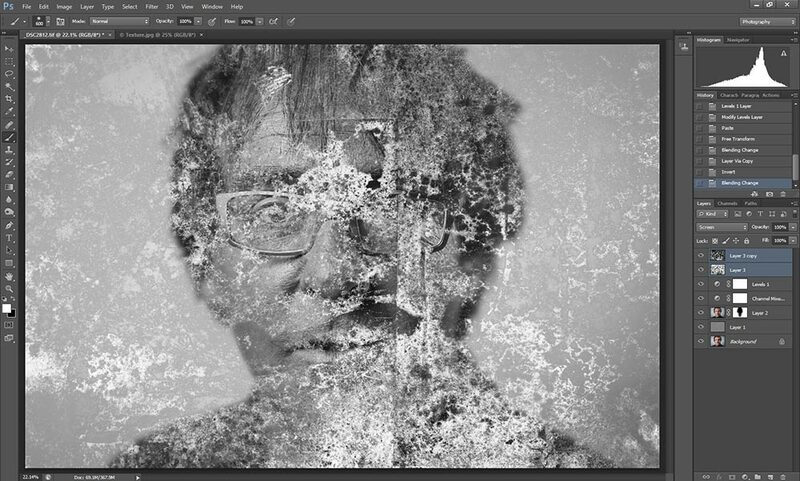 You’ll also need a texture image of something like peeling paint, rust or a grungy wall. A wet plate rebate is also useful to create the edges – these can be found online for free. 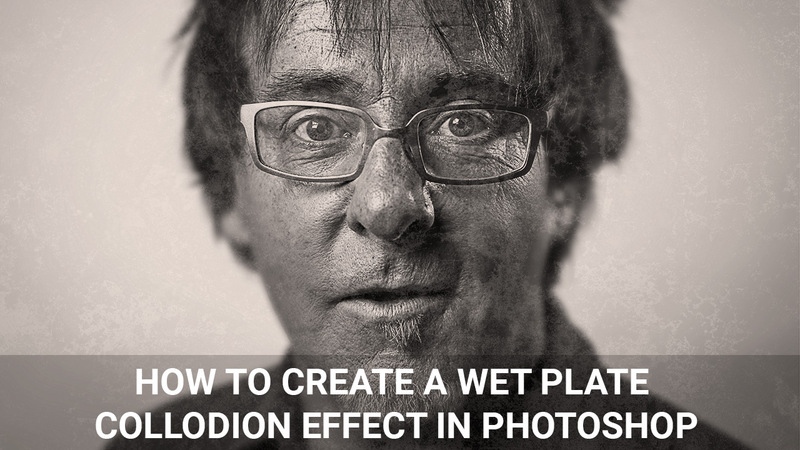 Here’s how to create a wet plate collodion effect in Photoshop. Check out the video tutorial below and scroll down to read the written tutorial. 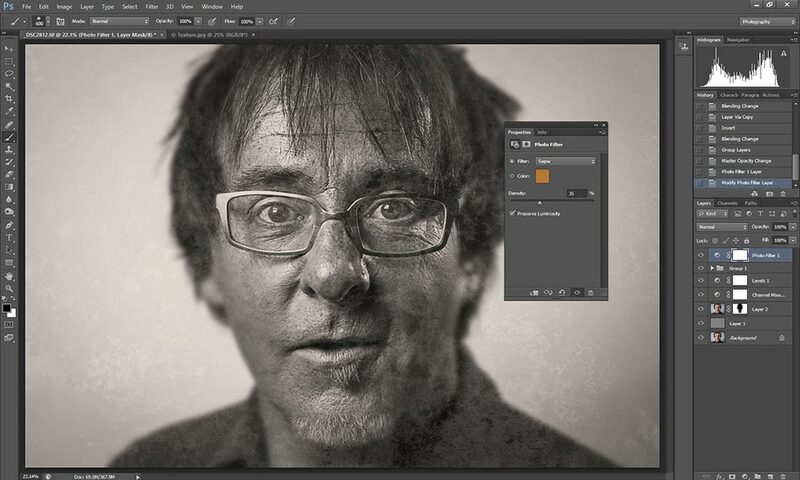 Open your portrait image in Photoshop and press Ctrl+J to copy the Background to a new Layer. Next go to Filter>Other>High Pass and set the Radius to 10 Pixels for a head and shoulders shot, or 5 Pixels for a waist level portrait. Now go to the Layers panel and click on the Blending modes dropdown menu at the top that’s set to normal by default, and select Overlay from the list of options. More: Ugly Holiday Sweater Design in Photoshop! Hold down Ctrl+Shift+Alt+E to merge the visble Layers into a new Layer at the top of the stack. This will now be active. We need to do this because adding blur to the previous Layer will not show up. Next Go to Filter>Blur>Lens Blur on the main Photoshop menu and use all of the default settings except for Radius, which should be set to 60. Click OK. Go back to the menu and click on Filter>Blur>Motion Blur. When the dialogue box opens set the Angle to 10, Distance to 50 and hit OK.
Click on the Layer mask icon at he bottom of the Layers panel to Add layer mask – it’s the icon showing a rectangle with a circle in the centre. Press D on the keyboard to set the foreground and background colours to black & white. If white appears in the foreground hit X to switch to black. Now press B on the keyboard and select a large soft edge brush (around 1500 px) to mask out blur over the central part of the face. If you make a mistake press X to bring white to the foreground and paint over the offending area. 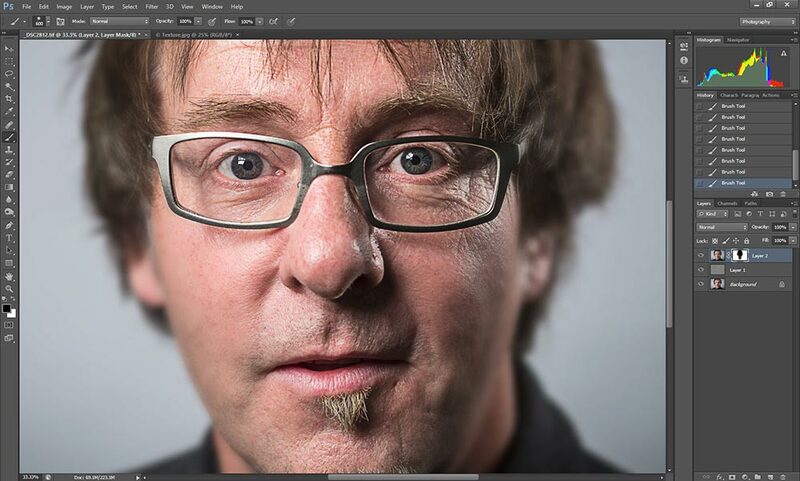 Take time when doing this because what you’re aiming for is a believable shallow depth-of-field effect. Click on the adjustment layer icon at the bottom of the the Layers palette – it’s the half-black half-white circle. Select Channel Mixer from the list of options. Next check the Monochrome box to convert the image to black & white. Now it’s time to create the highly detailed skin effect, so as a starting point set Red to -100, Green to 0 and Blue to 200. Now move the red slider to the right until the image is as bright as you’d like it to be. If highlights are blowing out drag the Green slider to the left. My final settings for this portrait were Red -56, Green -22 and Blue 200. All images are different so you’ll have to experiment on an image by image basis. Go back to the adjustment layer icon and select Curves from the list of options. Left mouse click in the centre of the curve and drag up and to the left slightly to lighten the image a touch more. Hit OK when you’ve finished. Click on the adjustment layer icon again, and this time select Levels. Set Output to 10 for blacks and 220 for whites. This will dull the image slightly to give it a more authentic look. Now it’s time to mimic the smugded emulsion effect typical of the wet plate collodion process. 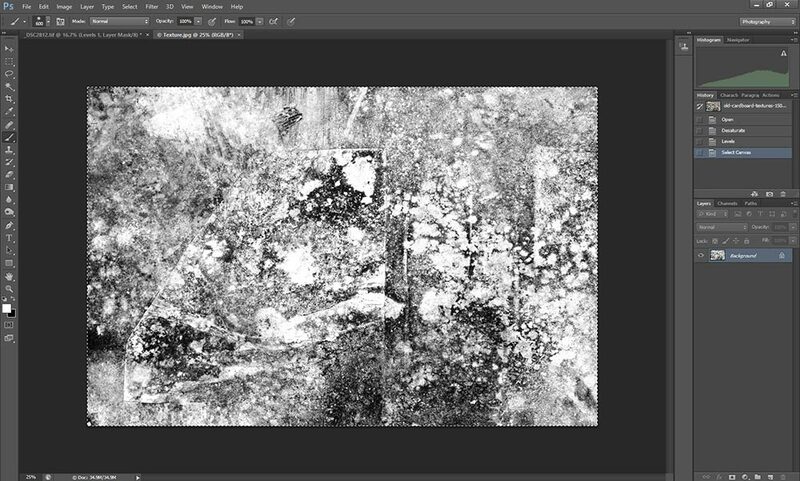 Open your texture image and convert it to black & white if it isn’t already. Next hold down Ctrl+A to Select All, then Ctrl+C to Copy. 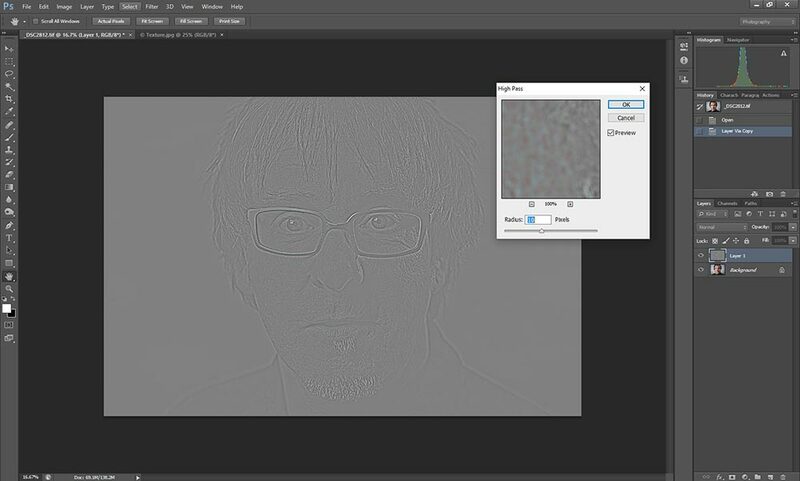 Click on the tab for the portrait image and press Ctrl+V to paste the texture onto the image. Go to the Blending modes menu on the Layers panel and select Multiply from the list to add a degree of transparency to the Layer. Go to the adjustment layer icon and select Photo Filter from the list of options. When the dialogue box opens click on the dropdown menu that’s set to Warming filter (85) by default and select Sepia. Drag the Density slider to the right until it’s set to between 20 – 50% This will give the image a natural warm look. The wet plate collodion effect is now complete. You can now keep all the Layers intact or Flatten the image. James Abbott is an award-winning editorial, advertising and commercial photographer based near Cambridge, UK. 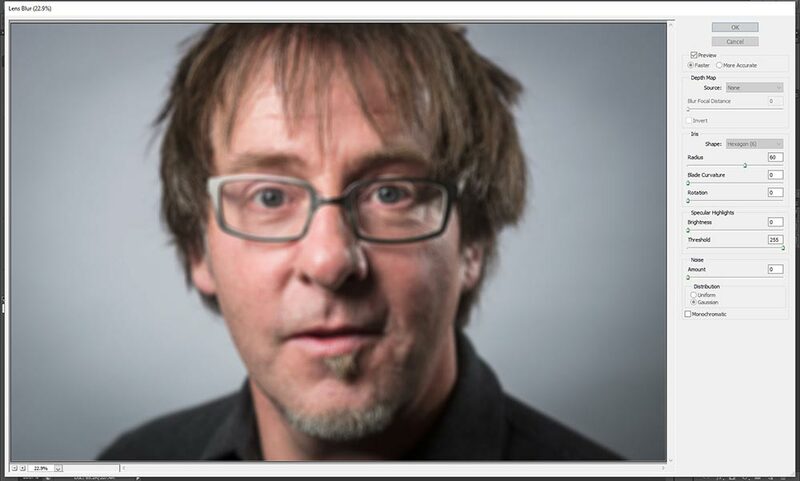 He also works as a freelance journalist and is a qualified photography lecturer. He has taught professional photography and Photoshop techniques to both beginners and advanced photographers. Thank you very much!.. Your instructions was concise and clear. I have done my first master piece :), thanks..